Kundalini yoga is a type of yoga that awakens the spiritual aspect of self. It is often called “yoga of awareness.” It was impacted by Shakti and Tantra school of Hinduism. Kundalini yoga is not to be mistaken as a religion, although its purpose is to exhibit awareness in the spiritual realm. 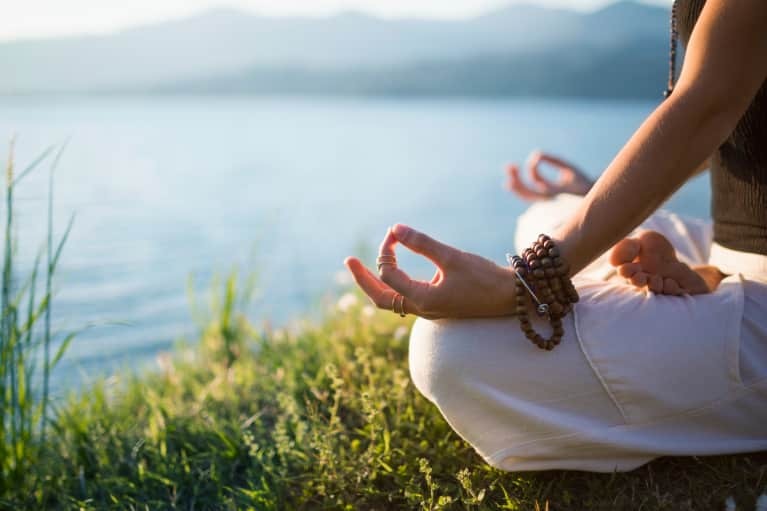 Other techniques are still incorporated in Kundalini yoga such as hatha yoga, kriya yoga, and tantric visualizations as well as meditation. The concept of Kundalini yoga is a spiritual energy or force that is pinpointed at the base of the spine similar to Muladhara. The coiled snake serves the purpose of activating all seven chakras by the vagus nerve. The vagus nerve controls the parasympathetic branch which prevents the fight or flight response. Naturally, when the brain senses fear or danger adrenaline is released causing our body to react impulsively. However, the vagus nerves mediate this section of the brain causing us to be poised, safe, and calm. The coiled snake or Kundalini energy begins at the base and can uncoil throughout the chakras. There are many reasons for this such as life events or spiritual activities. When breathing, the snake is established in the third chakra (Manipura) and then moves to the first and second chakra. It travels up to the brain to connect the pituitary and pineal gland which is referred to as a golden cord. Through practicing Kundalini yoga, one can expect to acknowledge their purpose. The coiled up snake shares commonalities amongst other cultures such as Native American, Taoism, Tantric Buddhism, and much more. Just like meditation sheds light on conscious and subconscious thoughts, Kundalini arouses the spiritual awakening in oneself. The visualizations one may receive can be both triggering and beneficial. Meditations in Kundalini energy are reflections on one’s spiritual path. It can possibly encourage one to make different lifestyle choices to achieve the desired spiritual state. On the contrary, the revelations behind Kundalini can be intimidating for beginners so it is always important to understand that this isn’t a mental breakdown, but an experience that can be life-changing. The benefits of practicing Kundalini yoga are vast. One benefit in practicing Kundalini is the protection against negative energy or influence in your life. Similar to meditation, focusing on staying grounded and staying true to yourself is very essential. As mentioned before, the vagus nerve alleviates the sympathetic system which enables us to remain calm. It cleanses unwanted thoughts and aids in responding better to emotions and feelings. Amongst protecting negative energy and emotional balance, it also relaxes the body and the mind. Regularly practicing everyday can bring resilience in defeating everyday stress. Consistency is the key when it comes to developing a better version of self. Overcoming stress, finding emotional balance, and staying grounded will become second nature when you realize feeding into distractions deter you from achieving a higher level of self-awareness. When you are beginning to feel stress, you can apply to meditate or practice Kundalini yoga, and attack stressors head on. Rocket yoga is a type of yoga created by Larry Schultz in 1980. It is based on traditional Ashtanga practice, and it combines postures from Primary and Intermediate series, with some advanced postures from the third and fourth series of Ashtanga. This type of Yoga is similar to Ashtanga Vinyasa since it is dynamic and it goes through the poses with speed. There are 142 poses in a regular Rocket class. It is divided similar to an Ashtanga class – it starts with a few rounds of Sun salutations, continues with standing poses and then proceeds to the sitting poses. The class ends with the traditional closing sequence. Although these classes are advanced, they are suitable for all students, beginners and teachers alike, because students are encouraged to experiment with variations of the poses, the way they can reach them. It is their advantage over Ashtanga practice; they are also reachable to people whose disabilities wouldn’t otherwise let them practice Ashtanga. The movement of the poses is dynamic, flowing and uninterrupted. It combines exercises which strengthen the core, so it supports all the bends that are done after. This way it makes you more flexible and strong at the same time, faster than in any other practice, but still with no bigger risk of injury. The first sequence is Sun salutation, and it is done before every practice. The students are encouraged to do this at least every day, and it should be followed by meditation. The Rocket 1 series focuses on leg stability, balance and forward folds. They have a creative way of combining the postures and, unlike Ashtanga, they first do all exercises on one side and then later follow on the other. It is mostly a standing sequence with only a few seated poses. The Rocket 2 series will strengthen your back and your arms. It is a practice mostly taken from Ashtanga secondary series with some additional poses. These additional poses are mostly focused on opening the hips but there are also some inversion poses included. The Rocket 3 series combines the first and second series, and although it is a faster-paced class, it is a bit easier and more natural for the body since it combines benefits of the two sets. This class is typically done once weekly, most often on Friday. The fourth sequence is Bottle rocket, which is a practice that can be done in under an hour, therefore allows you to have the benefits of Rocket even when you don’t have enough time. Rocket practitioners like to dedicate one day of their week to traditional Ashtanga practice, and it is mostly the Primary series. Rocket Yoga was named this way by Bob Weir, because, in his words, “It gets you there faster.” Although the idea of the rocket is to advance faster, still listen to your body, and remember that progress comes with time and a lot of repetition. Beginning the day with yoga is an excellent way to center yourself before the frantic pace of a busy workday. It can be challenging to roll out of bed and head straight to your yoga mat, but dedication to your yoga practice allows you to reap lots of many benefits. Yogis who maintain a regular morning practice feel refreshed heading into their day, being able to connect with their breath, intention, and thoughts. With all of the benefits yogis experience that stem from a morning yoga practice, you may think that it is a no-brainer to roll out your mat in the morning. Unfortunately, it isn’t always so simple, so here are a few reminders for your morning practice. Whether you have a steady home practice or head to a local yoga studio bright and early, you need to prepare to practice the night before. Yogis who attend a class should pack their yoga bag early, keep a water bottle filled and ready in the refrigerator, and have their outfit laid out. If you practice at home, you may want to go ahead and roll out your mat, have your props handy, and keep a glass of water near your practice space. When you prepare the night before, you don’t have many excuses not to follow through in the morning. It is easier to convince yourself that your yoga practice is worth losing a few minutes of sleep each morning. You will only be motivated to work out if you actually enjoy the activity. The same truth applies to your yoga practice. You will only want to roll out of bed on the dark mornings to practice if you genuinely love what you’re doing. There are many different varieties and styles of yoga available to practice, so experiment with a few to see what you like most. Many yogis prefer a sequence that builds heat to help them generate more energy for their day. Try to stay away from gentler varieties, such as Yin yoga, if you plan to maintain a morning practice. That may relax you back to your sleep-induced haze instead of preparing you for the busy day you have planned. Your body will only be able to tolerate rising early if it is receiving enough rest throughout the night. Don’t expect to begin a morning practice that requires an hour to complete while still keeping the same bedtime and sleep habits. You may find yourself needing to doze off earlier in the evening than you did before. Even if you don’t feel tired enough to actually fall asleep, lying in bed can be a great way to prime your body and mind for sleep. Over time, you will become accustomed to this earlier sleeping time and find yourself getting more rest than before. It ensures that you have enough energy to get the most out of your morning practice day after day. Many reasons can leave you searching for a new yoga studio. You may have moved to a new area, and now trying to find a number of new service providers. It can be a stressful process and a time that you will require your practice the most. Here are some tips on finding the perfect studio, and what to look for during your search. 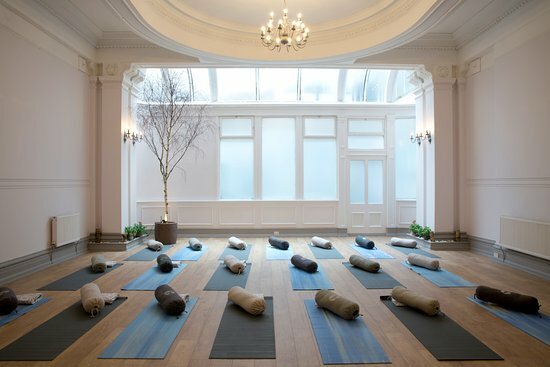 The best way to find a good studio for your practice is to ask for places that your yogi mates like. A good place to start your search is to ask your current yoga instructors if they have anyone in the area they would recommend. You can also ask your friends or other people in the area for recommendations. A recommendation can ensure the place you are checking up meets their standards. It might not be the place for you, but at least you won’t be wasting your time on a place that is not going to suit you at all. Another way to find a studio is to do a web search for yoga studios in the area you are looking. This will give you an idea of what is in the area. A studio that has mostly positive reviews is a great place to check out. Keep in mind that many reviews can be skewed, and one person’s bad experience might not be representative of the general nature of a place. This can also be said for overly positive reviews as well; the most representative reviews are usually moderate. When you have a few places that might suit you, the next step is to check it out. The internet is going to be a great tool for this. Most studios will have a great deal of information on what they offer, and their staff. They usually have a mission statement or similar, so you can get an idea of what they are about. When you find a couple of them that seem promising you can take the time to go visit in person. This is the most important step, the in-person feel of the space and the people is going to make or break a studio for you. It is important to meet some of the staff, see the facilities, and get an idea of the atmosphere to get a feel for the studio. To recap, the first thing to do is find a list of places that might fit you. Family, friends, and other yogis are a great way to find recommendations. Internet searches can help you out too. Keep in mind that all online reviews are not always representative, so read them with a grain of salt. Check out potential studios’ websites to get a feeling for what they offer, and visit in-person only ones that appear to fit with your needs. Even after a successful in-person visit, be wary of signing any long-term contract; testing out a studio for a month or so is a great, low-risk way to really make sure the studio fits you and your practice. For thousands of years, yoga has been revered for its amazing gifts both to the physical body and the mind. Increased strength, flexibility, inner peace and open mindedness are just some of its wonders. But can yoga affect your pet the same way it benefits you? Introducing DoGa: Yoga for you and your furry companion. Recently, many Yogis have realized how they can share the practice with their pet. It strengthens the connection between the dog and its owner. Often times, the dog is used as props during the practice to add a little weight and increase intensity to poses, as a Yoga partner or sometimes they just lay around the corner while their guardian is practicing on the mat. Animals are naturally sensitive to emotions and energies. Dog owners who participated in DoGa sessions claim that their pet behaves better, calmer and more focused. DoGa is also great for pets who have suffered trauma in the past both physically and emotionally. Having a pet, alone, is already a great stress buster. What more if you combine both yoga and your pet at the same practice? Yoga calms the nervous system, lowers blood pressure and releases tension both on muscles and mind. Spending time with your favorite buddy doesn’t get any sweeter. You and your pet can socialize more with like-minded Yogis and Dogis. The status of ownership is neutralized as you and you furry friend become one during the practice. Big or small? Size doesn’t matter when it comes to DoGa. Though big pets can restrict you from lifting during some asanas, they can still participate by simply resting on their person’s lap on seated poses or just by lying near the mat observing and absorbing energies. You can involve your dog gently through guided stretches and poses their bodies allow them to perform. Don’t expect your dog to show crazy postures! Even able bodied humans find it hard to carry out certain poses. Enroll in a class and be sure that you are supervised by a professional DoGa instructor before performing asanas to avoid injuries to you and your pet. Here’s some easy poses you can guide your pet through. Never force any of these asanas. You know your pet well enough to recognize if it feels aggravated or tired, so if it does, give it some time to rest. And have fun sharing Yoga’s benefits with each other! Heart-to-Bound Mudra: Place your hand on your pet’s heart and the other on yours. Close your eyes. Breathe slowly and deeply. Chair Pose: Let your pet sit on its hind legs and lift its front paws in the air as you support their body from behind. Chaturanga Dandasana: Stroke your dog’s back gently while it lies on its belly. Puppy-Paw Mudra: Let your dog lie on its stomach, extending its front paws out. Gently place your head on its back. Hold its front paws and slowly turn your head to the side. DoGa not only extends it gifts on the mat. You and your pet build a deeper connection and a better understanding of each other, making everyday life more wonderful. But remember to be realistic. Your dog is not a contortionist. Be patient. Be open. Allow the practice to be a medium of emotional exchange to help you and your dog grow and strengthen your relationship.